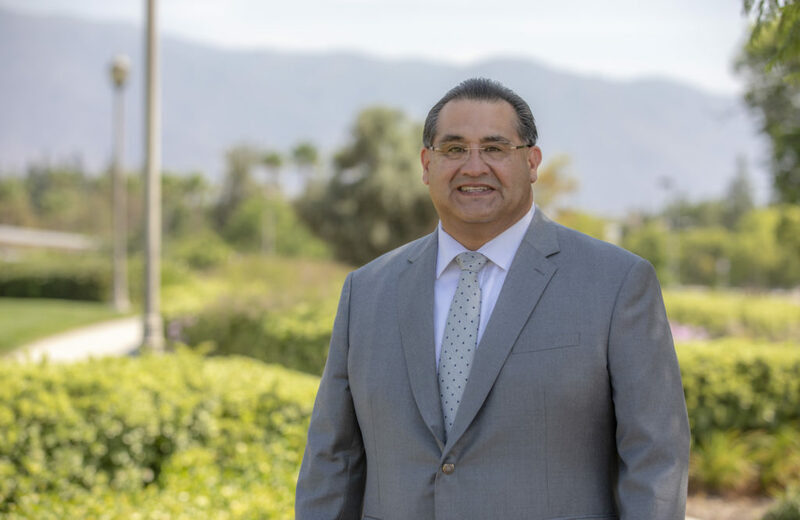 (Rancho Cucamonga, CA) – County Supervisor James Ramos has received the support from the entire Rancho Cucamonga City Council. Mayor Dennis Michael joins Mayor Pro Tem Lynne Kennedy and City Councilmembers Bill Alexander, Sam Spagnolo and Diane Williams in support of James Ramos for Assembly. James and his wife of 28 years, Terri, are the proud parents of four children and have three grandchildren. August 11th Campaign Kick-Off and Office Opening! 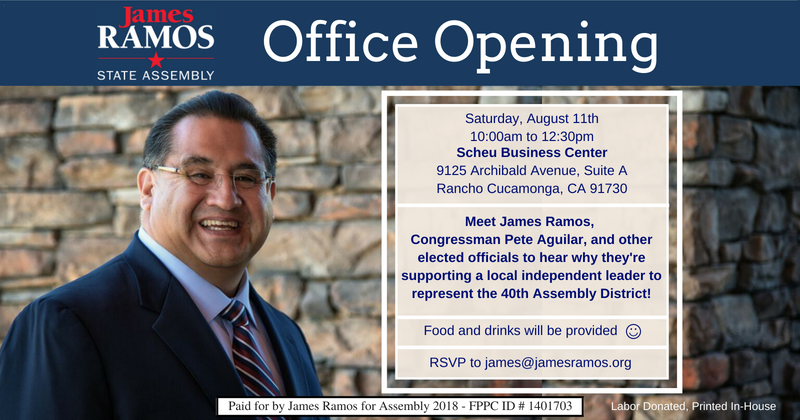 Please join James on August 11th along with special guests, including Congressman Pete Aguilar, and other elected officials to hear about why they’re supporting a local independent leader to represent the 40th Assembly District! 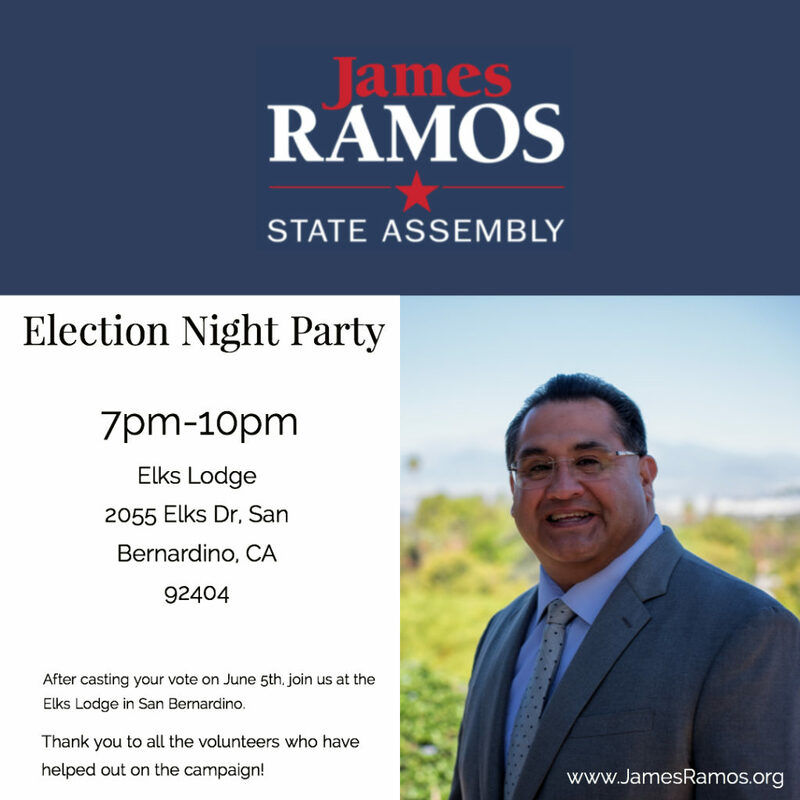 Please RSVP to james@jamesramos.org. Food and drinks will be provided. Join us on June 5th for our Election Night Party. Hosted by Council Members Bill Alexander, Sam Spagnolo, Diane Williams and Rancho Cucamonga Professional Firefighters Local 2274 . Please join us for food and beverages as we discuss the issues of our local community. 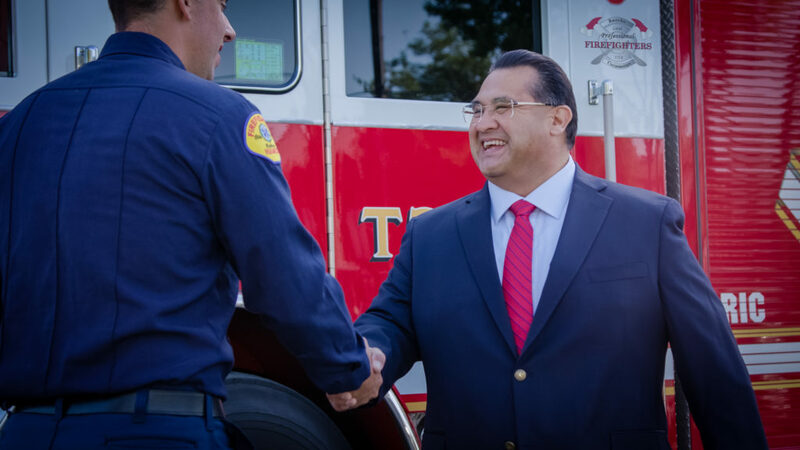 San Bernardino – Yet another law enforcement group has backed County Supervisor James Ramos in his bid for the 40th State Assembly District. Joining local police, deputies and law enforcement leaders, the California State Sheriffs’ Association has officially endorsed James Ramos for the State Assembly. Assembly District 40 includes the cities of San Bernardino, Redlands, Highland, Loma Linda and Rancho Cucamonga. It will be one of the top targeted Assembly seats in 2018. Supervisor Ramos currently represents over half of the Assembly District. He won his first term in November 2012 when he beat the incumbent Supervisor by 19%. He was reelected to the board in June of 2016 with almost 65% of the vote.